Last year I reviewed the activities of the Society’s Committee under my chairmanship over the past 10 years or so. I have now been reminded by the Secretary, Dr Ivor Johnson, that this is the 50th anniversary of the founding of the Society. I believe it was formally instituted on 16 April 1962. One of its founder members was Bill Hope Jones who was our president until his death a few years ago. He continued to actively support the Society until he died. I have looked up some of the records of the Society which cover the decade of the 90s. If anyone else knows where the previous records are going back into the60s 70s and 80s then please do let us know. I don’t say they had an easy time of it in the 90s. There was the major planning appeal in relation to Buckland rings in 1987 and the ongoing issue of the siting of the hospital all the way through the 90s. It was the possibility of being able to push forward the development of the Hospital that encouraged me to join the Society’s Committee and to become its Chairman and very soon after, probably not due to any great effort on my part, the hospital was built and is a very splendid facility for the Town, whether one likes its location or not. Apart from the Hospital, things in the minutes in the 90s were some what routine. I don’t know whether it was the fault of the new Committee but, as I set out in my last Chairman’s speech last year, everything then happened. The Chicken Factory Site issue became active and has had a mind of its own ever since. Mr Prescott decided to encourage development on Brownfield sites and incorporated back gardens into the term Brownfield. That started a battle which lasted several years until the planners came round to our way of thinking following a public meeting, and the Government eventually modified its directives. previous meetings with envy. Possibly two or three letters to be discussed. These days not a day goes by without emails circulating amongst the Committee dealing with all these issues. We take the details them as read and discuss the wider principles at our Committee meetings. It is principles upon which an Amenity Society needs to operate. Its mission and message need to be clear. It is not an organisation for individual one-off issues important as they are. It has to look at the overall picture and argue to its strengths. That involves getting a good relationship with the planners and the local councillors, which I hope we have now achieved. That does not mean that we all agree all the time. As has happened this year we had surprise decisions not only from the District Councillors over Wetherspoon’s but also from the Town Councillors over Redrow. That does not mean that we fallout but that we put over our point of view to ensure that at the end of the daythe issue has been fully debated and properly considered by those bodies, do not agree with the current plan, but understandable. It is also understandable that a single issue organisation such as “Lymington Last Shores” using a website to attract support, fights on to get a much lower density. The Committee however feel that it has adopted a reasonable and responsible approach which prevents the Town from the risk of the 300 unit development rising to 4 to 5 stories. On the issue of the ferries the Society has finally seen to a conclusion, in the recent public enquiry, its efforts toensure that the introduction of the ferries was carried out on the basis of all appropriate investigations being carried out by the authorities rather than the presentation of a fait-accompli by Wightlink. On Wetherspoon’s we have been surprised and shocked at the Council’s decision to grant the application in the teeth of local opposition and have expended some of our funds in establishing whether there were grounds to challenge that decision. There were, but on a pragmatic basis when it was clear to us that the decision would be likely to be repeated if set-aside after a very risky and expensive judicial review, the right decision was not to go further. Jonathan Hutchinson would like me to say that if any members criticise that decision he would like to know whether they were one of the few members who responded to his request for their views in making that decision. This is your opportunity to say whether the Committee is doing what you think is right. The Advertiser and Times suggested that we were raising a white flag over Wetherspoon’s. I have sought to justify our position in the local paper. If you have any views let us have them tonight. The Committee have to act on your behalf. I sit on various committees and Ihave to say that this is one of the most active and well integrated committees that I am involved with and I am lucky to be Chairman of it. I hope you will continue to support it. I appreciate that it is necessary for front page reporting to summarise an issue and get a headline but when this headline does not really reflect the true position I hope you will allow a right of reply on your letters page. The Lymington Society is not in the business of waving white flags. The Society is a body which looks after the interests of the whole Town on an objective and practical basis bearing in mind that any particular issue, whilst important, is one of many and once that issue has been dealt with as fully as possible it is time to move on and look after other issues. This is the distinction between the Lymington Society as an amenity Society, which has now coming up its 50th anniversary, and other single issue groups who may well be prepared to fight on until the last gasp over the issue with which they are concerned. 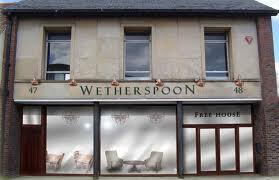 In the case of Wetherspoon’s we opposed both applications. We encouraged responses and there was a huge response of 900 individuals against planning permission on the second application. The decision did not reflect the views of the Town or the 900 objectors and the Society spent a lot of its resources in time and money in establishing whether the decision could be challenged. It might have been possible to challenge it but the view taken by the Committee was that even if there was a successful challenge then it was extremely likely that the same councillors would vote in the same way on another decision, which would be required as a result of a successful legal challenge, and a lot of time and effort would have been spent for nothing. The Lymington Society has never been involved in licensing issues because they particularly affect individuals who live nearby. However if the licensing could have been a back door to preventing a public house in such a sensitive location then we would have objected, but consider seriously whether the council, which is now the licensing authority, would be likely to refuse an alcohol licence for a public house for which it had just granted planning permission. All that could be achieved would be to limit the licensing hours, but that is a matter which is best argued by the neighbours for their own particular needs and by the police in respect of public order. The main body of the press release was as follows and I hope you will allow it to be printed here. “The Lymington Society have supported the 900 individual objections to the location of the proposed Wetherspoons public house next to the church. A considerable amount of time and effort was spent in doing so and considering the validity of the eventual permission passed. The permission has been granted and there is a hearing in respect of licensing. The Society’s opposition is not so much as to the extent of the licensing but to the fact of the public house in that location itself. The Society’s view is that the hours of licensing and any conditions placed on the premises are matter for the neighbours who would be directly affected, the police who will need to monitor it and potentially the Town Council if they feel it appropriate to express a view on licensing in the Town centre. It has not been the Society’s practice to become involved in licensing matters which would have the effect of preferring or disadvantaging one licensed premises over another once planning permission has been approved in principle. The Society’s Committee is conscious that the combination of it’s lack of legal action against the Council in respect of Wetherspoon’s and its acceptance of the current plans in relation to the Redrow site, are tending to give the misleading impression that the Committee is accepting the power of large organisations in pushing through planning applications which the townspeople don’t want. The Committee can only deal with the art of the possible and if it is likely, as in the case of Wetherspoon’s, that the Council Planning Committee will maintain a subsequent decision, and in the case of Redrow that the developers could fall back on a previous planning application with a extra 100 units then the Committee will object as long as reasonably possible, or negotiate the best outcome, and continue to deal with other issues. Currently the next issue is the amount of green belt land surrounding Lymington that should be allocated for housing. The Society’s AGM has been advertised for 20 March at 7:30 PM at the Community Centre and of course members are welcome to take the Committee to task if it is not carrying out their wishes. The meeting has been publicly advertised and it is hoped that non members will attend as observers and if they feel strongly about the Town, then join the Society and make their voices heard. The first question asked by any inspector or barrister in any planning appeal or enquiry is to know what membership the Lymington Society represents! The Lymington Society has today welcomed the decision by the NFDC Planning Officers to recommend refusal for the application byWetherspoon’s to turn the former Ford furniture shop into a an extremely large “destination” public house. We will be writing to NFDC Councillors on the Development Control Committee asking them to accept this recommendation and to continue to oppose this extremely inappropriate development. The Society previously opposed this application when it came before the NFDC Development Control Committee earlier this year and was pleased that the NFDC Councillors unanimously rejected the application at that time. The company have now reapplied and this time have provided a wealth of information on their new proposal enabling the Society to look afresh at the application. From this new information it is clear that the Society’s decision to oppose this unsuitable development was the correct one. The Lymington Society welcomes investment coming into the town which will benefit the community and provide jobs and services which the community needs. However any investment must be appropriate and not threaten the character of the town – as this proposal clearly does. From the new details it is now clear that Wetherspoon’s are proposing a massive development which will dwarf any similar public house in the area, and which will almost certainly put some, if not many establishments in Lymington, out of business. Whilst welcoming any reasonable development which brings jobs and prosperity to the town, the Society remains deeply opposed to permission being given to such a huge “destination” public house in such an unsuitable location in the historic main thoroughfare of Lymington. The chosen location, cheek by jowl with the historic St Thomas’s Church and with the parish graveyard bordering the very walls of the building, is simply not suitable for a massive drinking establishment of this type. The inevitability of public order problems from the up to 200 drinkers who Wetherspoon’s envisage being accommodated, together with the noise nuisance to the many people living within earshot of the building, means that the Society feels it must oppose this highly unsuitable development which inevitably will have harmful effects on the character of the area in the years ahead. The Society hopes that the NFDC Councillors listen to the unprecedented number of over 900 objectors and accepts the Officer’s recommendation to refuse this application. In the comment and correspondence which has followed the above application, the view has been heard that it is a re-submission of its forerunner 95473 and that in assessing it the LPA is obliged to confine itself to the reasons for refusing the earlier application. The purpose of this comment is to challenge that view. 2. On the basis of the limited details submitted regarding the visual impact and impact through noise and disturbance caused by physical changes which would be required . . the Council is unable to be satisfied that the changes would not have a detrimental impact on interests of acknowledged importance. These words make clear that what was not known could not be assessed. The following paragraphs contrast the information supplied by the two application forms and design statements. The second application (96974) contains much factual information which the first lacked, and so allows for the first time an assessment of the scale and consequences of what is proposed. Do the plans incorporate areas to store and aid the collection of waste? Have arrangements been made for the separate storage and collection of recyclable waste? AMOUNT OF DEVELOPMENT There will be minor revision to the internal layout and the installation of a disabled platform hoist, goods hoist and disabled WC. A new kitchen, storage areas, and new bar will be installed. New customer toilets will be created on the first floor. LAYOUT As described above, minor changes are planned to the internal layout only. SCALE No changes are planned which will affect the scale of the building overall. LANDSCAPING The existing neglected and overgrown rear walled garden area will be cleared and used as a new beer garden associated with the public house. . . There is an opportunity to resolve locally the issues which led to the initial refusal, primarily by submitting further information and technical documents enabling a fully informed and balanced judgement to be made. The premises will create up to 50 new jobs. It is estimated that of these about 15 will be full time and 35 part time. This statement contradicts the “proposed employees” question in the application form, and allows the very substantial scale of the proposal to be seen for the first time. The proposal is to provide food and drink (both alcoholic and non-alcoholic) to customers throughout the day. The layout allows for 26 tables and 114 seats plus standing customers. Only the ground floor and rear terrace are to be used for eating and drinking, with the toilets and office accommodation on the first floor. A further 12 tables and 48 seats are proposed for the rear terrace. Furniture will remain in situ at all times and will not be removed to allow greater vertical drinking occupancy at peak times. This new information gives a further measure of the scale of the proposed operation. The 114 seats are all indoors; another 48 are shown at tables on the proposed rear terrace, making 162 in all, plus “vertical drinking occupancy” space which in the applicants’ own verbal estimate could see up to 200 customers on the premises at one time. J D Wetherspoon outlets are not just “pubs” in the conventional sense; they offer a wide range of food and non-alcoholic beverages, food is available from opening until 22:00 every day. Because of its likely customer base and location, we would anticipate that food sales at the premises will comprise 45% to 50% of total sales by value. . . The proposed opening hours are between the hours of 07:00 for breakfast with alcohol sales from 09:00, closing at 23:30 Sundays to Thursdays, and 00:30 Fridays and Saturdays. Hours for the sale of alcohol . . would normally commence at 09:00 and cease 30 minutes before the close of the premises to allow a gradual dispersal of any remaining customers. The applicant is at pains to emphasise the proportion of non-alcohol sales. But these sit uncomfortably against the claim in both application forms that 100% of the trading space will be assigned to the A4 purpose of a drinking establishment, and must be seen in the context of the proposed opening hours and the very substantial turnover (conservatively estimated at more than £2 million annually) implied by the number of promised jobs. Furthermore, for the last 1½ or 2½ hours of every day food will not be available. There will be no on-site parking provision for cars or other motor vehicles. Customers and staff travelling by car will be expected to use the town centre’s public car parks or park on street, where permitted. . . The situation remains as at present, with these retail premises being serviced from the street. This is normal in Lymington and most town centres. There has been no objection from the highway authority and there is no reason to assume that there will be any abnormal risks created by the proposed change of use. . . All deliveries will take place from St Thomas St, as they do now to the existing retail premises. . . As with deliveries, all collections of refuse and material for recycling will be carried out from from St Thomas Street . . . These extracts conflict oddly with the information supplied in both applications in answer to the question “Do the plans incorporate areas to store and aid the collection of waste?” Judged on the scale set by the number of jobs to be created, there is, as has been pointed out in many of the 883 objections so far lodged against the application, good reason for supposing that the proposed change of use will pose “abnormal risks” as a consequence of increased road traffic. The dismissal of such risk by the Highway Authority appears complacent, while the same authority’s claim that “traffic is not a planning matter” is contradicted by PPG 13, on which an Inspector relied in February 2011 as the sole ground for dismissing an appeal by the same applicant against refusal of a similar change of use application in Beverley. An acoustic survey has been undertaken . . This shows that neighbouring residents (including those in the care home opposite) and users of other property nearby should not experience any undue noise from plant and equipment used on the premises or from the use of the designated terrace area by customers. While this new information is welcome, it has been pointed out by objectors that it is open to challenge on several grounds, particularly as it does not concern itself with noise created off the premises by movement of people and motor vehicles. Conclusion. Application 96974 can not be regarded as a resubmission of the refused 95473 which, as recorded in the reasons for its refusal, was notably deficient in essential information. The new application makes possible for the first time an understanding of the scale and scope of what is proposed, and assessment of it must examine every relevant factor, many of which are revealed by its supporting documents for the first time. The Lymington Society strongly urges you to reject this application. We welcomed the Development Control Committee’s decision to refuse the previous application 95473 in September 2010 and we consider that the additional information in the current application offers little new evidence. The new application can’t change the finding that the proposed change of use is incompatible with existing uses at adjacent sites. If implemented, the proposal would carry serious risks for the balance and vitality of the High Street. The proposal is therefore incompatible with Policies CS5, CS1, CS2, CS3 and CS24 of the Core Strategy and saved policies DW-E23 and BU-TC4 of the superseded Local Plan and with the objectives and policies of PPS5 Planning for the Historic Environment. The Developer’s planning statement supporting the current application seeks to challenge this. It says “Within historic town centres, the juxtaposition of churches, residential accommodation and public houses is far from unusual. A number of pubs operated by [the applicant] are in similar locations, next to – or even combined with – churches”. It says further that the “Proposed alterations to the external fabric and appearance of the building [will have] no adverse impact on the character and appearance of the conservation area or on the setting of adjoining listed buildings. The proposed change of use will not detract significantly from either the character or appearance of the area or the amenities which local residents and occupiers / users of other properties nearby may reasonably expect to enjoy.”.. However, we believe that the developer’s view is inaccurate and that the proposed change of use would have an adverse impact, in particular on the parish church and its precinct. The churchyard is a breathing space in the town centre, a place of repose and tranquillity, sometimes a place of solace and consolation. The Lymington Conservation Area Appraisal recognises the particular status and importance of the parish church and churchyard to the town centre. The Local Distinctiveness SPD says that “The churchyard at St Thomas is a very important open space in the town centre. Between High Street, the “Tins”, the town Hall and Avenue Road, it provides both green amenity and various important links that allow visitors to enter the town centre on foot. Any development that threatens the sense of tranquillity or the character of this spiritual amenity should be avoided”. The anticipated increase in anti-social behaviour is not an issue that can be satisfactorily addressed through Licensing Conditions nor can the behaviour of the people who come and go from a pub be controlled by even the most professional of pub managers once they are no longer on the premises. The Developer tries to address the Council’s concerns in the planning statement supporting the current application. It says “An acoustic survey has been undertaken to ensure that acceptable noise levels are not exceeded”. However, the acoustic survey carried out on its behalf by Spectrum, a noise specialist, is mainly limited to the generation and transmission of noise from the interior of the building andtakes little or no account of the comings and goings from the proposed premises. For the reasons described above, the amenities enjoyed by local residents are more likely to be significantly compromised by noise and disturbance created outside the building. The Developer’s planning statement says “At the time the residential care home for elderly people was first established, there was a pub opposite at 45 St Thomas Street (“The Lymington Tavern”). Clearly, that relationship was not considered to be a problem at the time of granting permission for the care home use.” However, the pub described was small and uninviting, with customer numbers rarely entering double figures, which was one reason why it failed. To suggest a comparison is absurd, and also shows why scale is so important a factor in the analysis of this application. It says “[the applicant’s] operating policy [explains] management measures that are taken to minimise any disturbance to people living nearby and using other neighbouring premises.” However, experience proves otherwise. Drinkers are drawn to cheap alcohol as moths to a flame. It is inevitable that incidents will occur, whatever management policy may be. Lymington has its own history of such incidents, which suggests that it is not immune. And management has no control over events which occur outside the premises, such as vomiting, urination, loud conversations, banging car doors, noisy engines and traffic congestion. In response to the previous application, the Police said that “the applicant’s Design and Access Statement does not respond to advice in paragraph 87 of DCLG Circular 01/2006 (Guidance on changes to the Development Control System) that such statements should demonstrate how crime prevention measures have been considered in the design proposal” and concluded that they were “unable to support” the application. It says “The objective of [the Core Strategy] is fully supported and information provided with this re-submitted application seeks to demonstrate that the proposed change of use is consistent with the associated planning policy.” The LPA has already decided that it is not, so long as the premises are between the Church and a care home. It says that “All deliveries will take place from St Thomas St, as they do now to the existing retail premises. A service door to be inserted at the west end of the “shop front” will provide access to a service corridor running through to the back of the building and the garden…all collections of refuse and material for recycling will be carried out from St Thomas Street, as they do now. ” Currently, however, the retail premises at 47 & 48 St Thomas Street are open for up to 8 hours a day on six days a week and trading is light. The change of use proposed would see the premises open up to 17½ hours a day, seven days a week, with a turnover incomparably greater. There is no parking space outside the shop other than the street, which is a congested junction. It is unjustifiably optimistic to suppose that deliveries and refuse collection will take place “as they do now”. However, such claims should be balanced by the probability that jobs will be destroyed elsewhere in the High Street. It is very unlikely that the town could absorb the extra supply created by such jobs without attracting large numbers of visitors from elsewhere. Behind this application, presented as a simple change of use to an existing building, is concealed a project of a scale which is exceptional and whose potential consequences for the town need to be properly understood. Figures available from its published 2010/11 accounts show that the applicant’s 775 national pubs employ an average 27 staff (or 15 “full-time equivalents”) to generate annual sales of £1.29 million. The application here considered includes a promise to create 50 new jobs, some of them part-time (the pro-rata “full-time equivalent” number is 28) which suggests an annual sales target of around £2.3 million or £6,300 every day of the year, half of which, by the applicant’s own admission, would be sales of alcohol This sales projection is consistent with the large floor area of the premises (including the proposed “beer garden”) which is about the same as that of the town’s Tesco supermarket and substantially exceeds the area of any other drinking or food establishment in the town. The consequences of adding at a single stroke such a massive increase in the supply of food and drink to a High Street which is already adequately supplied by 21 hotels, pubs, restaurants and coffee houses spread along its length are such that their impact would change the whole balance of the town centre and so alter the factors by which the merits of the application should be judged. The stated policy of the applicant is to set prices below those of competitors, so it must be assumed that local custom would be drawn to the new establishment at the expense of existing outlets. Some of them would fail and so reduce the choice available, and alter the balance and vitality of the High Street as well as destroying existing livelihoods and jobs. But the implied sales targets would also suggest a need for a substantial increase in visitors from outside the town, most of whom would be likely to come by car, with consequences for congestion and parking. Whatever the eventual balance, there would be a considerable increase in both pedestrian and vehicle traffic in the vicinity of the premises, adding weight to the first reason the LPA gave for refusal of application 95473. The noise and hubbub inseparable from such traffic, which would continue for up to 18 hours a day, and reaching its peak in the “quiet” evening hours, would be external to the premises and so beyond the control of the applicant. Conclusion The additional information included in the current application includes no new evidence to alter the Development Control Committee’s decision of September 2010. The proposal if implemented carries serious risks for the balance and vitality of the High Street and the site remains inappropriate for its proposed change of use, being incompatible with Policies CS5, CS1, CS2, CS3 and CS24 of the Core Strategy and saved policies DW-E23 and BU-TC4 of the superseded Local Plan and with the objectives and policies of PPS5 – Planning for the Historic Environment.